A spectactular big aquamaerine that has good, slightly greenish medium light blue color and a surprising amount of dispersion or spectral color flashes. The cut is a large stone barion cushion design from the Antique Cushions book by Long and Steele. This was recut from a larger stone that was purchased from a retiring gemologist, so I don’t know what the origin is. 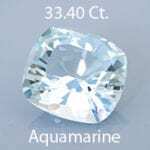 Comments: A spectactular big aquamaerine that has good, slightly greenish medium light blue color and a surprising amount of dispersion or spectral color flashes. 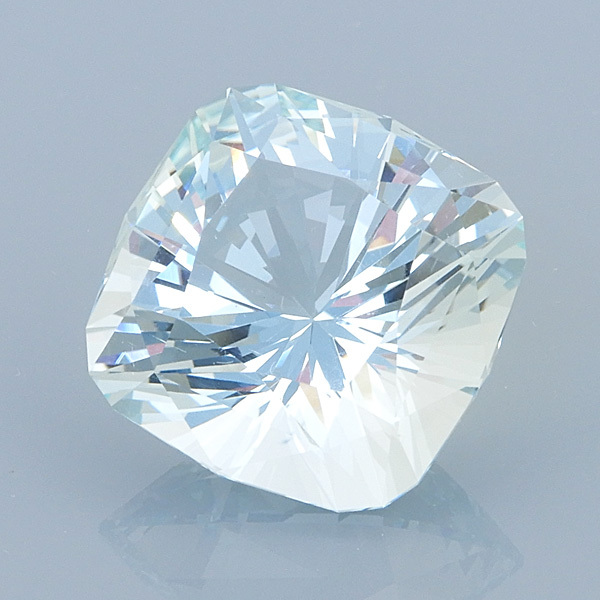 The cut is a large stone barion cushion design from the Antique Cushions book by Long and Steele. This was recut from a larger stone that was purchased from a retiring gemologist, so I don't know what the origin is.